Jeeps are vehicles that are made for fun. It doesn’t matter whether you stay on road or if you take your Jeep off road, they’re for looking good and having a great time. A suspension kit is extremely useful for a Jeep. Suspension kits – such as this 4″ Series II Suspension Lift Kit for 97-06 Jeep TJ by Rough Country – are designed to enhance the performance of your Jeep. A suspension kit gives your Jeep more flexibility, high ground clearance, a more comfortable ride, and allows you to use larger tires. 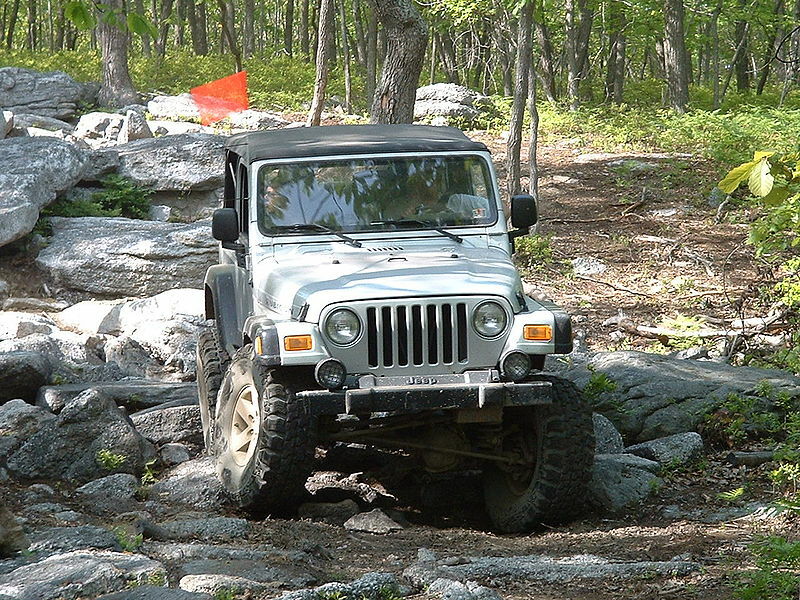 If you drive mainly on road, a Jeep suspension kit will make your rides more comfortable, allow you to use tires that are larger, and allow you to more easily pass over obstacles. For example, if you often go to the mall, you may have to cross speed bumps or speed breakers. With a suspension kit, you will not notice the speed bumps nearly as much. The same holds true when you take the Jeep off road. You won’t notice uneven ground or rocks as much, and the ride will be much more comfortable. Larger tires are often extremely useful when you go off road. This kit has everything that you need to enhance your Jeep. With easy bolt-on installation, no cutting and no welding, you won’t have to spend hours trying to install the kit on your Jeep. Rough Country’s rear coil spring design that count-acts passenger side coil fatigue is included. The kit is upgradable and maintains stock ride quality. In the kit you’ll get front and rear coil springs, solid tubular transfer case drop kit, front and rear lower control arms, swaybar links, front and rear track bar drop brackets, and 4 RC Hydro 8000 series shocks. There are two kits to choose from, depending on the year of your Jeep, and you can choose the color of the shocks, the quantity of shock boots, and whether you want your shocks upgraded.